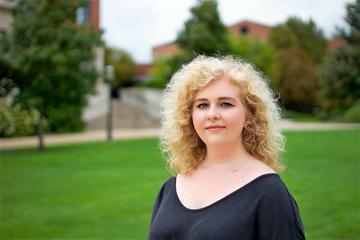 Megan is currently a vocal performance major at the University of Missouri-Kansas City. She studies privately under Dr. Aidan Soder, and hopes to have a career singing opera on stages around the world. Megan is very excited to be singing at Grace! Alex is a Music Therapy and Psychology student at the University of Missouri - Kansas City. Alex also studies voice at the Conservatory. He hopes to one day open his own practice as a clinical psychologist and music therapist. 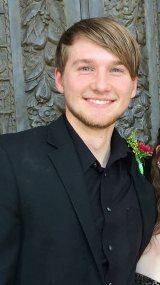 Alex as a passion for helping others and is extremely excited to be working with Grace Episcopal Church. 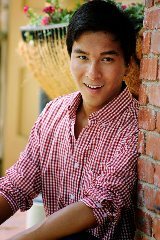 Peter is currently enrolled at the University of Missouri in Kansas City and studies music education. He attended Lee's Summit North high school and studied under Jenny Mallote, Jonathon Krinke, Steve Perry and privately under Lori Pinnell. As of now he studies under Dr. Charles Robinson and privately under Dale Morehouse. Peter hopes to teach high school choir after graduation and to eventually receive a masters degree in music education.